This year BACR Coordinators started off their school year preparation at the annual BACR Summer Institute. The BACR Summer Institute's foundation is built upon the BACR mission statement of promoting the successful, holistic development of youth by providing opportunities for young people to acquire new skills, engage in creative learning, share their talents, and leave a positive mark in their communities. BACR Summer Institute provides a safe space where coordinators can connect with their colleagues, discover their strengths, build a sound understanding of district policies, and ultimately leave feeling confident in their abilities as educators. Be on the look out for an upcoming invite to this upcoming 2016 Summer Institute event! 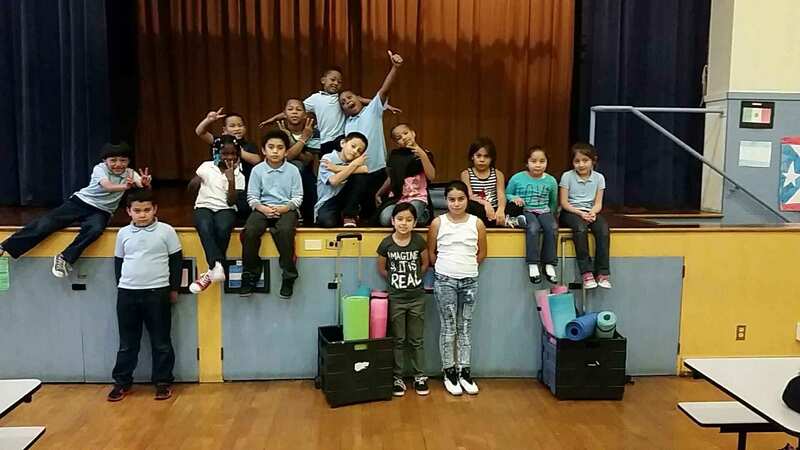 For six years now we have made efforts to continue to advocate and celebrate keeping Lights on Afterschool Program celebrations going and growing on a larger scale. This year on Thursday, October 22rd the SOAR 6th annual Lights On Celebration Football Game was held from 4pm to 6pm. Our theme was, “It takes a village to raise a child”. It was huge successes! 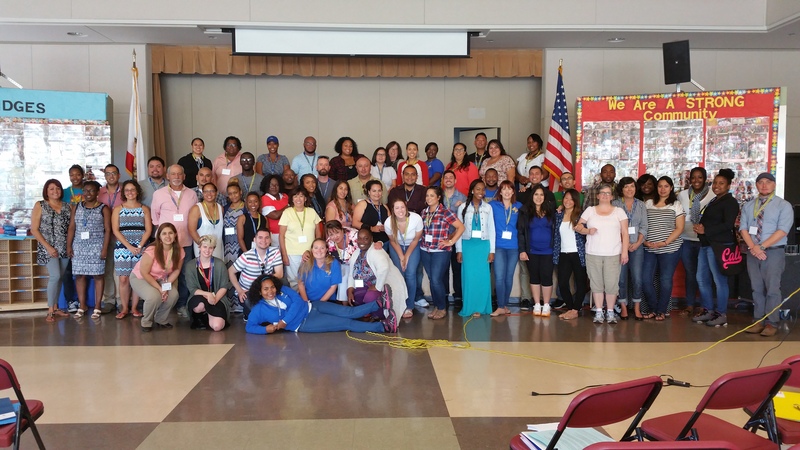 We managed to bring all of West Oakland Schools together again. With over three hundred people showing up to support Lafayette along with Martin Luther King Elementary, Prescott Elementary, Hoover Elementary, West Oakland Middle and KIP Jr High school and Ralph Bunch High. The students had a blast. Parents and teachers and visitors from all seven schools lined the sides of the field and cheered on the students. Lafayette and MLK cheerleaders were the loudest; chanting their school spirit and battling cheers from across the field. While the teams and coaches were heavily into the game on the field, fans on the side continued to mingle and stand in the long concessions stands lines filled with tamales, salad, nachos, and other healthy choices provided by MLK’s community farmers market. A big thanks goes out to BACR Coordinator Jeremy Gladson. We also had lots of OUSD staff, BACR managers and program Directors and spectators from all over taking pictures. Big thanks to my Manager, Gabrielle Guinea who volunteered to help me for the entire day and to my Director, Marisa Ramirez, who brought her children to enjoy the event. 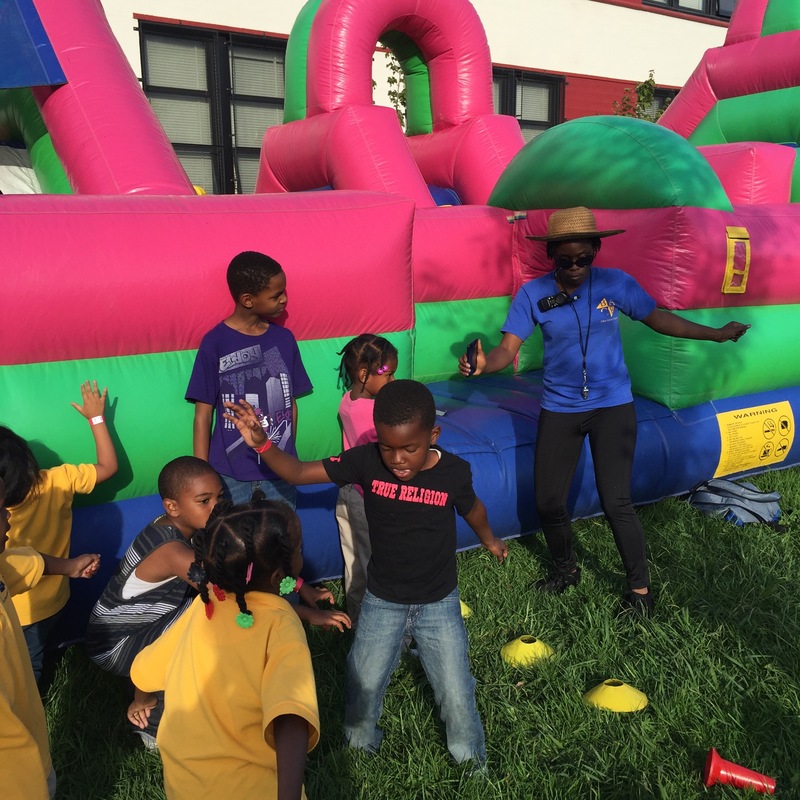 Every year we usually go big with just supporting the kindergarten, first and second graders with a Kids Zone. 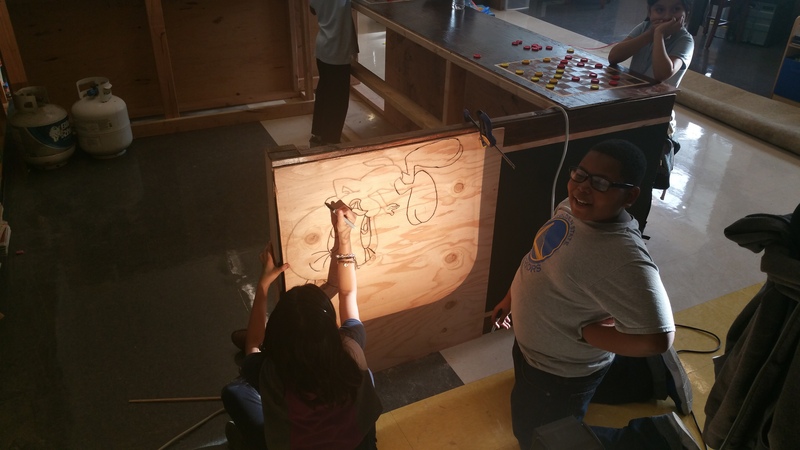 But this year we were able to take it to the next level, supported in part by the other BACR West Oakland schools. This year all of our students K-5th had a large fun play area covered with giant interactive's, mazes, Legos, building blocks, hula hoops, face painting, jump roping, tumbling pads, mini basketball hoops, tons of art paper, paints and crayons and a jewelry making bead station. All of our students across West Oakland were engaged, it was just beautiful. I am looking to expand in the next year with more interactive activities for all ages - even the adults! At 5pm our Half-Time show began. 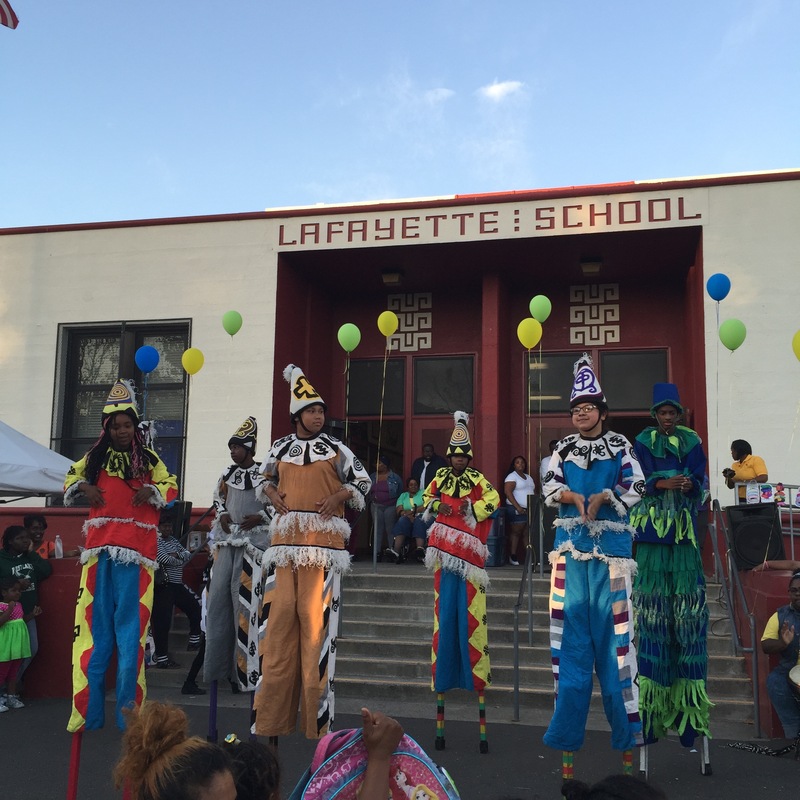 A stage was created using the Lafayette front school stairway and ramp, the area had bright balloons and colorfully decorated Lights On light bulbs created by our students lining the rails. This year at Markham has been nothing short of amazing. Our students and staff have bonded in ways none of us could have predicted. 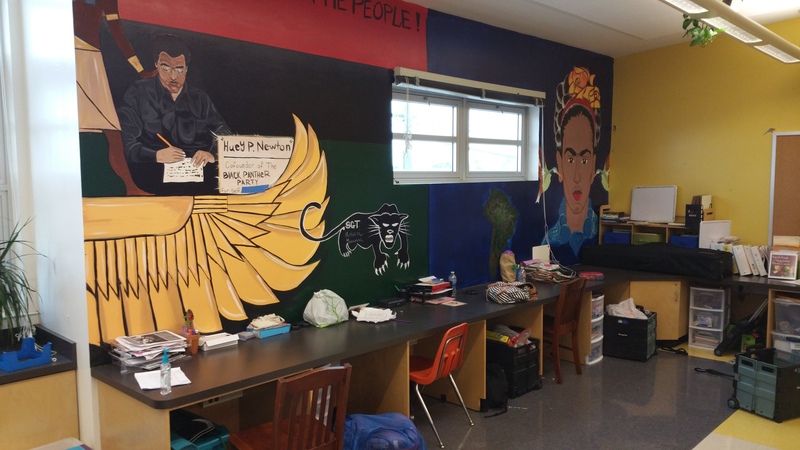 Our students have Along with the cafe we had our wall painted with images of Huey P. Newton and Frida Kahlo. These two figures were voted on by our students because they learned of them during Markham Elementary cultural week. Markham Elementary Amorawa After School Program believes it is very important to have youth voice in program structure and we have been excited in having them lead these projects. Please come on by and enjoy a snack in our “Family Cafe” sometime, we love serving the community. Amorawa ASP would like to thank NBA Math Hoops for the best start to our spring so far. 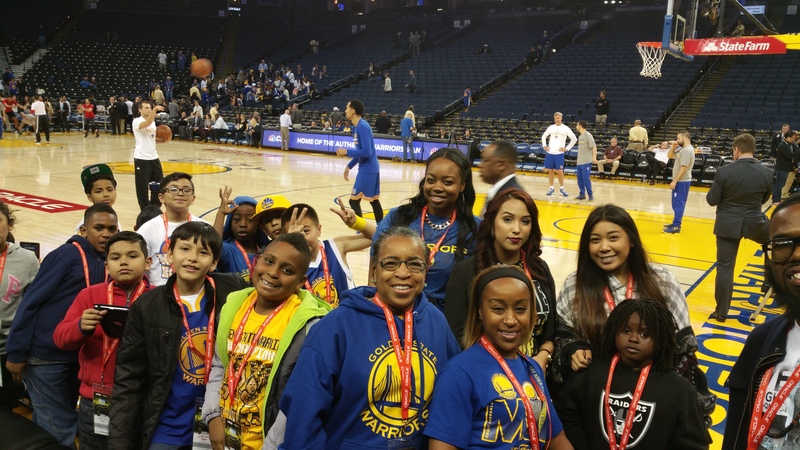 To begin March, our students earned tickets to watch the Golden State Warriors play at the Oracle Arena against the Atlanta Hawks. This was made possible through the partnership of BACR and Learn Fresh Organization. Playing Math Hoops at a feverish pace has not only ignited our students' love for basketball, but also improved their math skills simultaneously. 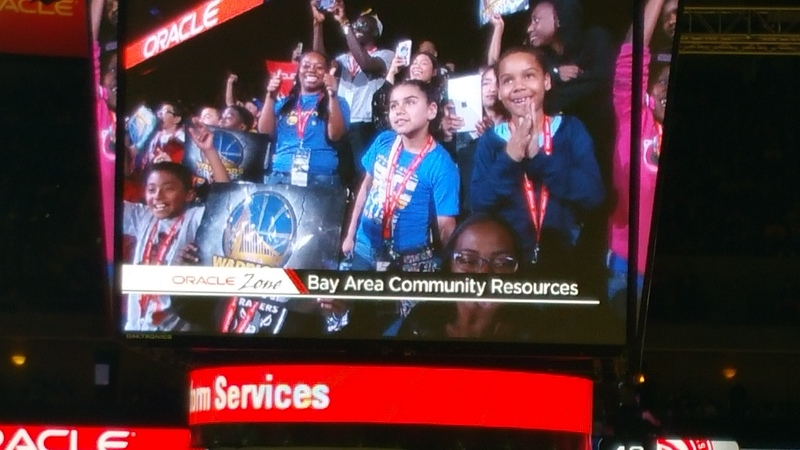 Our students were so excited to take a tour of the arena, meet the cheerleaders, as well as stand five feet away from Klay Thompson (NBA player). This was such an amazing experience and our ASP is excited to continue the work of serving our students at Markham.enjoyed cooking with staff, playing basketball themed math games, practicing mindfulness, as well as other things. The highlight of the year has been the collaboration of the students and staff members to build their “Family Cafe,” which operates as an avenue for them to learn about economic empowerment.